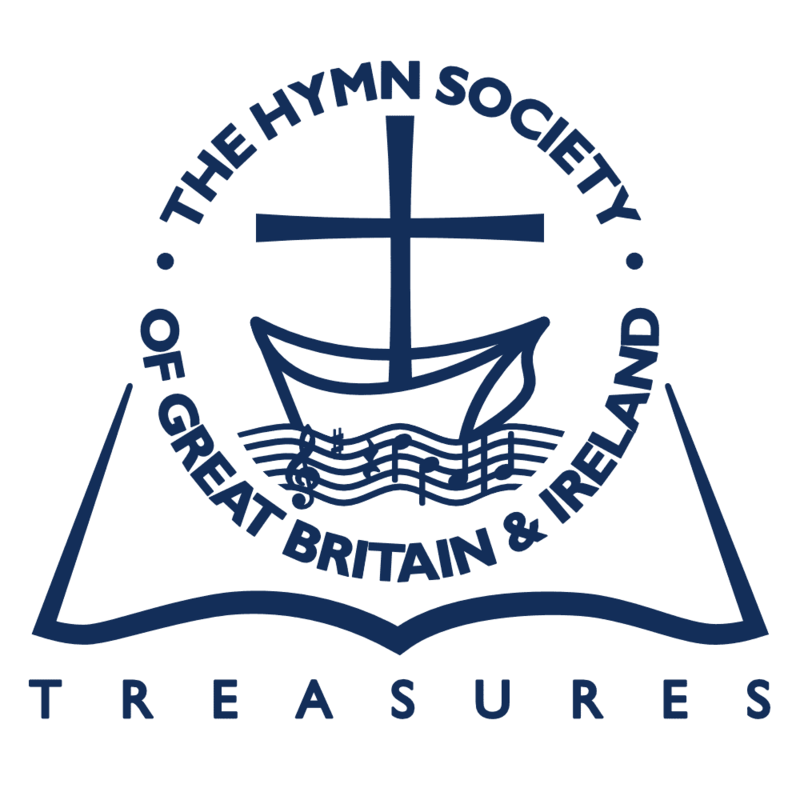 I was First aware that there might be quite a story to both the words and the music of the hymn when I noticed that the music had been written before the words. How odd, I thought, that any tune of that metre could find appropriate words to it after it had been composed—‘13.13.13.13.13.13. Irregular’ was how hymn-books described it. A letter to Imogen Holst, the composer’s daughter, was answered with a generous ’phone call giving the significant information that she had been in the same class at school—St Paul’s Girls’ School, where her father was Director of Music—with the daughter of the author of the words, Sir Cecil Spring-Rice. And there, clearly, was the essential connection. Imogen Holst volunteered to get in touch with the daughter of Spring-Rice—who in the intervening years had married the diplomat, Sir Raynor Arthur. Lady Arthur then ’phoned me, with the equally valuable information that her mother had sent her to St Paul’s Girls’ School when her father had suddenly died. She still remembered being ragged as a young school-girl for her American accent. Sir Cecil Spring-Rice had been Ambassador to Washington from 1914 until the United States came into the First World War; then, at the end of 1917, he was suddenly relieved of his post—by telegram. Spring-Rice had realized from the beginning of the war that its issue might well depend in the last resort on the attitude of the United States, and how much therefore depended on him as Ambassador during the prolonged period of American hesitation and neutrality; but he had not anticipated that when he had ‘done his bit’ he would be so suddenly—and, as he felt, discourteously—replaced by a direct representative of the War Cabinet, Lord Reading; though he well recognized the advisability of a change. On 3 January 1918 the Ambassador had his Final interview with President Woodrow Wilson, and on or about 12 January, the eve of his departure from Washington, still in some bitterness of soul, penned the two verses of the hymn—although he had undoubtedly been thinking along the lines of the verses for some time. On 12 January he in fact sent a copy of the verses to W.J. Bryan, formerly U.S. Secretary of State. In 1911 or 1912, when Spring-Rice was in Sweden, he had written two stanzas headed ‘Urbs Dei’. What he kept in 1918 as he had written it in 1911 was the second of those two verses—the vision of man’s other country;it was the first verse he wrote afresh. Spring-Rice left Washington to stay for a while in Ottawa with the Governor-General, the Duke of Devonshire, who was a kinsman of his wife, and then to catch the boat home to England. The love that asks no question, the love that stands the test. The love that never falters, the love that pays the price. Less than a month after that speech, while still in Ottawa, Cecil Spring-Rice died. He had been out on skis all day, had talked freely at dinner, by midnight had gone to bed. Lady Spring-Rice heard from the next room a moaning, and came in to find her husband unconscious, and he never recovered. His pension ceased with his death, and his widow was left with little money and two young children to bring up. Mercifully, there was a ‘Cecil Spring-Rice Memorial Fund’ which raised £15,000. That was how his daughter came to be at St Paul’s Girls’ School, and there can be little doubt that that is how the words of her father’s poem came to be set to music by Gustav Holst, the music master—though whether Holst volunteered to set them is still unclear. Gustav Holst, born in Gloucestershire, but of Scandinavian, German and Russian forbears, had recently changed his name from Gustavus von Holst—much as Prince Charles’s forbears, the Battenbergs, changed their name—at the same time—to Mountbatten. Holst had completed his suite ‘The Planets’ by May 1917, and it was an astonishing coincidence that the melody he had set at the heart of ‘Jupiter’ in ‘The Planets’ fitted, almost without alteration, Spring-Rice’s words, which were written many months later and found on his desk in Washington by the Duchess of Devonshire after his death. In fact Holst came to regret his use of the ‘Jupiter’ melody and wished he had composed a special tune for the words; for so many conductors, conducting ‘The Planets’, slowed up ‘Jupiter’ when they reached what had come to be thought of as the ‘hymn-tune’ melody, whereas Holst had written it for the ‘Bringer of Jollity’. There was another not unremarkable coincidence. Holst had written part of ‘The Planets’ in his 300-year-old cottage at Thaxted in Essex; and he therefore called his tune to Spring-Rice’s words ‘THAXTED’. The Vicar of Thaxted, Conrad Noel, became a great friend of Holst, and Holst was responsible for much of the music-making there. Conrad Noel was a challenging, controversial figure in the Church of England at the time, the life and soul of the Christian Socialists: a vigorous sort of man, with a considerable sense of humour—and drama. Gustav Holst, much influenced by William Morris, had become a fervent Christian Socialist and was therefore drawn to Thaxted and to Conrad Noel. Now Conrad Noel, like Spring-Rice, had strong views on the Union Jack—but rather different ones. Noel feared the Union Jack was too imperialist, and stood most for ‘financiers, politicians, and newspaper proprietors grown fat upon Empire, and for an Empire which had enlarged its borders by force.’ It was, of course, one thing to believe that kind of thing—even to say it; but when, after the Easter Rising in Ireland in 1916, Noel added the old flag of Ireland to the flags in the chancel in Thaxted Church, and then, later that year, added the Red Flag—to represent, he said, ‘the aspiration of labour for equality of men within the nation, and for a federation of nations within a world commonwealth’—it was not only the peacefulness of the village of Thaxted which was disturbed. But the composer of ‘THAXTED’ was not unsympathetic to his vicar’s views of the Union Jack. That was all more than 60 years ago. The Washington in which Spring-Rice wrote his memorable verses is certainly a very different city now. And if Holst could imagine his melody from ‘The Planets’ being used at the wedding of the heir to the throne in 1981, it would have surely been less easy for him to envisage the riots in a number of our English cities in the preceding weeks. Yet I believe those words of Spring-Rice may still have within them something of the answer to our present ills: ‘I vow to thee, my country … the service of my love’—if we have in mind the sacrificial love which was in Spring-Rice’s mind. Certainly I felt privileged to tell the story of the music and the words to that vast congregation in St Paul’s, and as the great organ filled the cathedral with sound, I could envisage Gustav Holst playing the organ, as was his custom, for the St Paul’s Girls’ School confirmation services. And I was particularly glad that within that large congregation there was one particular elderly lady with some young children—the daughter of Cecil Spring-Rice and her grandchildren—proud to hear the story of their great-grandfather. (This valuable article not only considerably supplements but also corrects information given in various hymnal companions. Spring-Rice died on 14 February 1918, but an error in Songs of Praise Discussed (1933) giving the date as 13/14 January 1918 has unfortunately been copied by many later companions and has led to a number of false deductions. Misleadingly too a number of books give the date of ‘The Planets’ as 1921; this, however, was when the work was published. As Canon James says, the suite was completed in 1917; the first performance was a private one in Queen’s Hall, London, in September 1918. The first hymnal to include ‘I vow to thee’ was, it seems, the first (1925) edition of Songs of Praise, together with the tune ‘THAXTED’.